For this special episode of popoTV I will announce the winners of the Inaugural Tennessee Turkey Jamm Awards. The categories are Comeback Kid Award, Best Defense Award, Best Acting Award, Most Outstanding Player Award and the Best Overall Performance Award. 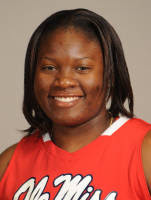 I will also give an update on former Bartlett standout, Jasmine James (Georgia). HOLD UP.. Before I began to receive emails on where to pick up awards. The Tennessee Turkey Jamm awards don't exactly exist. It's just my way of recognizing the performances during the event. If you were not able to check out the talent and high level of girls basketball during the Tennessee Turkey Jamm on this past weekend, you really missed out. Memphis really solidified itself as a hot bed for players and teams. Ridgeway went 2-0, Central and Overton both defeated nationally ranked teams, some players reminded the nation that they too should be ranked and players put themselves on the map. Jasmine Robinson: If you're looking for intensity, the Alabama signee, ranked No. 65 in the 2010 class by ESPN HoopGurlz, may just be what the doctor ordered. While most likely a point guard at the next level, the 5-foot-8 standout from Overton High School played the off guard spot impressively at both ends. To say that she brings "attack" to the court may be an understatement. She's effective at putting the ball on the floor and getting to the rim but also has the touch to knock down the long jumper or the pull up. With the ball in her hands she is constantly measuring her defender and looking for the best way to create. At the other end of the floor she's a tenacious on ball defender who can stay in front of most ballhandlers. She has active hands and has lateral quickness that eliminates most opponents' penetration. The strength in her game may also be her weakness as well. Her intensity and emotion often carry over from play to play and at times becomes an obstacle during difficult stretches. Breanna Williams: On a Lausanne team decimated by injuries, the 5-8 senior guard is carrying the load in the ballhandling department. 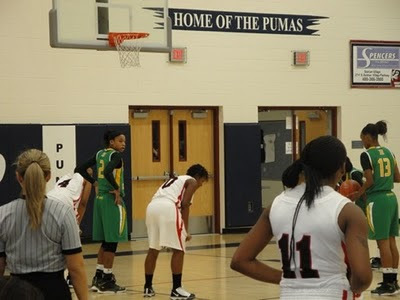 Williams, headed to the University of Houston, is handling the point and has the ball in her hands a large majority of the time on each possession. She's smooth and athletic and can get to the rim against most defenders. That penetration forces defensive rotations and allows her to kick it out to teammate Hannah Summerfield who's virtually automatic from 3-point range. If Lausanne can get some of their talented roster healthy, Williams will become much more effective with less of a workload. She'll have to refine her left hand and become more consistent with her own jumper to keep defenders honest at the next level but there's lots of potential in place. 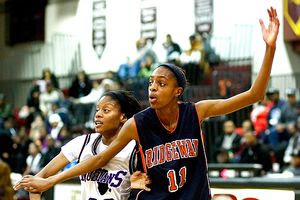 Hasina Muhammad: Easily one of the more impressive performances over the two-day event was that of Ridgeway's 6-foot guard She continues to show the continual development and evolution of her game giving her legitimate claim to consideration among the 2011 class elite. With the ball in her hands she attacks the rim with smooth, fluid moves and navigates traffic with the best of them. The jumper is coming but still needs some fine tuning to make it a more consistent threat. What may well set her apart from others is the combination of her offensive game with a stifling defensive presence. Her size, reach and lateral speed make her a difficult defender to get around. Her anticipation and timing has her hands on both shots and passes time and again. Physically she's going to have to fill out and add some strength but then again her build seemed to work pretty well for former Auburn All-American DeWanna Bonner. Cornelia Fondren: This Overton High School guard is one of those athletes who simply catches your eye and make you look. The 5-9 Fondren plays the point but may be more suited down the road for the guard spot. Her speed with the ball in her hands exceeds what most players can demonstrate without it. She pushes it in transition and often goes coast to coast before defenders can dig in and stop the ball. The left-hander plays aggressively at both ends of the floor and isn't afraid to mix it up when the game gets physical. There are a lot of skills in place but some refinement is necessary for her to be able to make the most her physical talents. The potential is there for her to play at any level she wants. Aaliyah Whiteside: She is one of those rare players who have the ability to take over a game for a series of possessions. 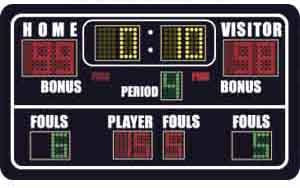 There were points on both nights that it seemed that she was dominating the game in stretches of two and three possessions at a time. The 5-10 guard flies up and down the court with and without the ball and forces defenders to know where she's at every moment of the game. In the halfcourt the left hander slashes to the rim for the lay up or pulls up with a very effective short game. The consistency of her perimeter shot will be critical in allowing her to continue to attack off the dribble. Defensively her long lean build makes her a problematic defender for opposing guards to face. Nina Davis: Adding one of the state's most impressive freshmen may well be the key to Memphis Central taking one more step past last season's state championship loss. That may be asking a lot but Davis isn't your average ninth grader. The 5-9 guard has good size and athleticism and has also filled out and matured just since last year. She's confident and moves well with and without the ball. She can create her own looks off the dribble and isn't hesitant to get into the paint and finish in traffic. She has good vision on the floor and is more than willing to give it up when the pass needs to be made. The one thing that is missing is her perimeter shot. She may make a few here and there but her form is out of a different book and will need some work to find the consistency she'll need in the future. The level she can reach is up to her. 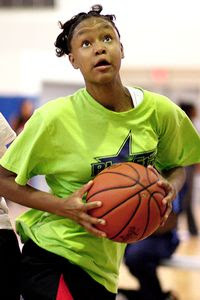 Ebony Hayes: Physically strong at 6-3, the Overton post has the size and strength to mix it up with anyone on the floor no matter what their age. On the block she was able to hit the short turnaround as well as attack the rim with an aggressive drop step. Some things are still a thought at this point rather than a reaction but that's only a matter of time. Being part of an aggressive and physical team like Overton is only going to help her become even better prepared for the college game down the road. The potential is limitless. Odegua Oigbokie: Sometimes you just see a young player who catches your eye and know they're going to develop. Ridgeway's Oigbokie may not have lit up the board for 20 points or pulled down a dozen rebounds but you can see some real potential in her game. At 6-1 she's got a solid, thick build but plays a very active game. She demonstrated a few strong post moves and finished her open looks. There were even a couple of drives that got her to the rim with confidence. While she didn't shoot the perimeter, her form at the line looked sound. Keep watching.